Better understanding of these “elephants” is one reason “Sunset: A Ch’ae Manshik Reader” is a valuable addition to the translated canon. Brilliantly translated by Bruce and Ju-Chan Fulton, it contains works written from 1924 to 1960, including short fiction plays, roundtables, sketches, a fable and a memorial. Ch’ae’s navigation of the considerable political tensions of the time is played out across these works, and a reader can watch as he changes from a young writer, to a writer grappling with his role in colonial Korea and, in the post-colonial era, to an intertextual writer who has considerable tools of humor and understanding wielded in the service of social analysis and critique. The most problematic piece in the collection is “My ‘Flower and Soldier’” (1940), which reveals Ch’ae in his most submissive stance, writing an ode to the Japanese war effort. The tone of this work is represented in the rather shocking words of one Korean soldier about to go off to fight for Japan, “Hurry up, you can skip ‘Arirang.’” This must be a difficult story for modern Koreans to read. That Ch’ae was far more complex than that single work suggests becomes clear in two included roundtable discussions. In the first roundtable, Ch’ae reveals himself to be laconic and, other than a brief description of his love affair with a certain type of paper, extremely unsentimental about writing. In the second roundtable on literature, Ch’ae grapples with the responsibility of the Korean author within the context of a government controlled by Japanese invaders. Above the interesting political issues, Ch’ae is a great writer, capable of mixing tones and themes, with a gimlet eye for absurdities created by social, economic and political structures. “Sunset” is a representative piece, featuring the amusing battle between the narrator’s father and the obese Hwangju Auntie. Containing dollops of satire, it also demonstrates the tragedy of normal Koreans attempting to deal with the vicissitudes of political and military realities that they cannot control or plan for. 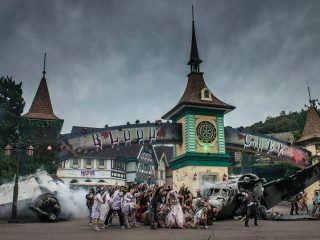 “Sunset” is populated with Ch’ae’s stock characters, including the ineffectual intellectual, the hard-headed middle-aged woman and social inferiors buffeted about by their superiors. All these stories sparkle. “In Three Directions” and “Juvenesenility” are clever studies of social and sexual relationships. “Ungrateful Wretch” is a surprisingly relevant and bleak portrayal of opiod-addiction. The other stories are similarly clever and revealing. Several short sketches show how few words Ch’ae needed to fully reveal the essence of his society and characters. This collection shows Ch’ae doing what he does best, confidently swerving between broad comedy, penetrating character analysis and unblinking examinations of what the great sways of history can do to the littler people of which that history is constructed. 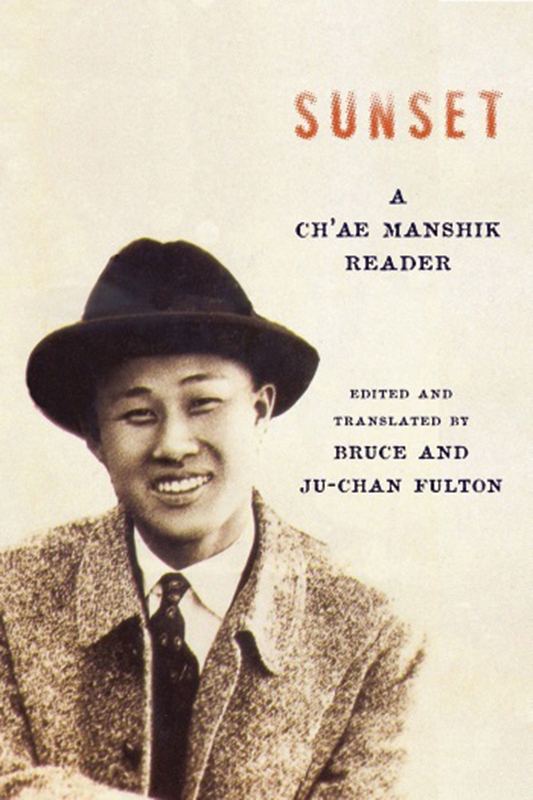 “Sunset: A Ch’ae Manshik Reader” is essential for students of Korean literature and history – eighteen pieces of nearly flawless social description and critique.